Minutes from it all...this home is located near shopping and schools. Nestled on a corner wooded lot this cozy brick ranch has a large den with fireplace and a living room/ dining room area. Many renovations are done, but plenty of opportunities to customize and make it yours. New paint, some new flooring and light fixtures. 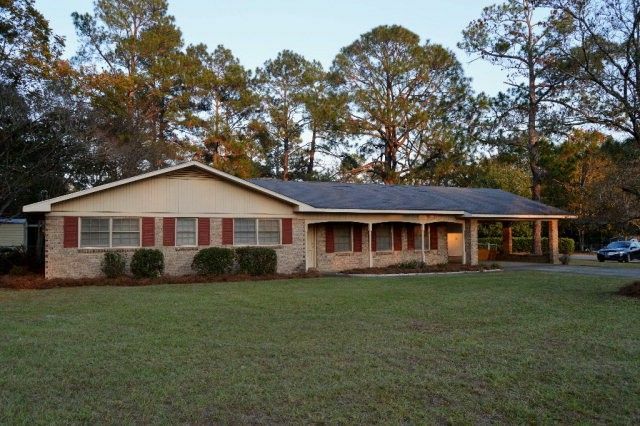 Retro cool....Large .57 acre lot, carport, fenced backyard with storage/workshop building and shelter and large patio. 3 Bedrooms and 2 full baths give it great flexibility. Call Tammie Gibbs @ 912-293-2899. Directions: Take Hwy 280 to Slayton Street, then turn right onto Slayton, then left onto Meadows Lane, Continue til address on left.